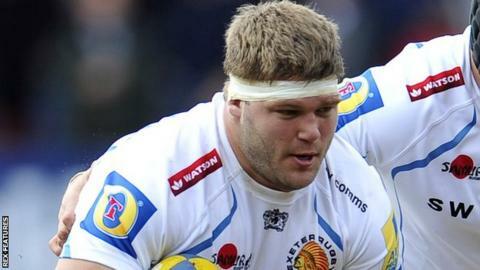 Prop Alex Brown will leave Premiership high-flyers Exeter Chiefs at the end of the season to join French side Perpignan on a two-year deal. The 26-year-old joined the Devon club from Doncaster in 2012 and has made a total of 60 appearances. He has a year remaining on a contract signed in April, but Exeter have agreed to release him by mutual consent. Brown was part of the LV= Cup winning side against Northampton in 2014, but has only played six times this season.